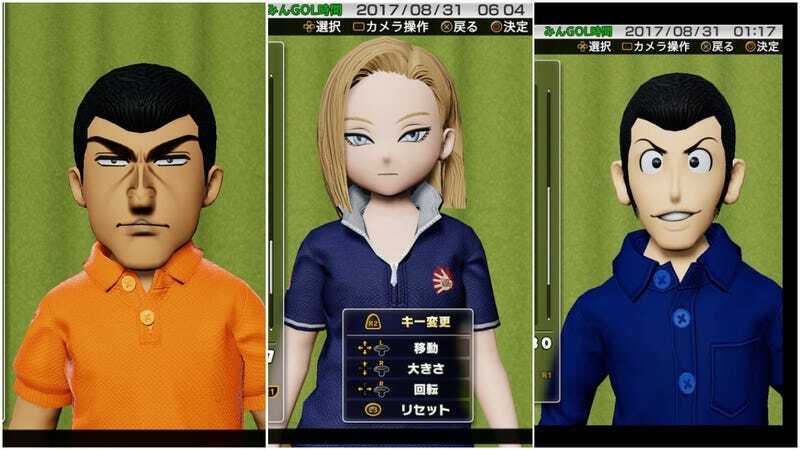 Everybody’s Golf golf features a robust character creator, which can churn out iconic anime and game characters. Kotaku’s Tim Rogers already checked out the character creation and its running animations. They are spectacular. Looks like it’s possible to make just about, well, everybody.